Most visitors to rural Alaska only stay a day or two. Sometimes, they just stay for a few hours. Whether it's to see the bears, cross over the Arctic Circle or get a glimpse of life at the edge of the world, it often falls to a single bus driver or tour guide to make a lasting impression. "Music Man is my favorite American musical," said Richard Beneville, my guide in Nome. It's a perfect choice for Beneville, who's been beating the drum about Nome for years. Since 1994, Beneville has been showing off Nome to visitors. In his day-long tour you'll learn about the Gold Rush of 1898, the Iditarod and the Native Alaskans who have roots going back thousand of years. In addition to his job as a tour guide, Beneville is a real community organizer. Until he retired, he was in charge of Nome's community schools program. But he also shared his love of theater by directing many stage productions, including "Music Man." Beneville also is the mayor of Nome. During Beneville's tours, visitors will get a comprehensive look at what makes Nome tick. That includes a visit to the port, where you'll see many modern-day floating gold dredges custom-made for the shallow waters of Norton Sound. You'll also hear Beneville's vision of a deep-water port, to better serve ships headed north to the Arctic Ocean. "Nome is the gateway to the Arctic," he says. Beneville said more visitors are asking about the effects of climate change in the Arctic — and he shares stories of eroding coastlines, changing patterns of sea ice and the tundra. The Gold Rush of 1898 was the reason thousands flocked to Nome in search of the gold on the beaches. And although they're still mining for gold, the community now is a health care and transportation hub for 17 villages in the region. There's a fish processing plant at the harbor and a college campus. Between the gold dredges, the scenic vistas and a walk on the beach, Beneville shares some of his improbable journey from New York to Alaska with visitors—and how he finally ended up in Nome. "I drank away my career on Broadway," he said. He credits the love and acceptance of the community in Nome, particularly the Alaska Native people, for his continuing recovery. "Now I'm 73 years old and I'm the mayor of a town I love," he said. Most of Beneville's visitors arrive and leave on the same day. But you can spend the night, rent a car and go sightseeing on your own on the region's three roads: up to Teller to the west, up to Pilgrim Hot Springs to the north or over to Council to the east. It's possible to drive all three roads in one day. You'll see lots of relics of the Gold Rush, plus wildlife and wildflowers. If you go in August, you're likely to get some blueberries. Jack Reakoff moved to Wiseman when he was just a child. Wiseman was founded by gold miners in the early 1900s. His parents settled there and he learned to hunt and trap. The only way in or out was by air or by boat. But the river is shallow: the boats had to be pulled by horses upstream from Bettles. Wiseman is just 3 miles from the Dalton Highway, about 10 miles north of Coldfoot. But there was no connection to the road until the early 1990s. Reakoff leads day tours of Wiseman year-round. In the summer, visitors come north from Coldfoot for a walking tour that includes his house, the community church and many of the 100-year-old buildings from the original settlement. Most of the town's residents are in Reakoff's family. His sister has a store and a bed-and-breakfast. Reakoff pays close attention to the natural force in the region. That includes wildlife and fish counts, temperature, water levels and other metrics. He's a sought-after expert on fish and wildlife management in the region. During the winters, Reakoff stays up many nights with visitors who want to see the northern lights. He's retrofitted a cabin with extra chairs, some extra tripods, hot chocolate, coffee and a blazing wood stove to keep the place warm when it's -25 outside. It's dark in Wiseman—there's no "light pollution" from Fairbanks, 270 miles to the south. It's a good place on a clear night to see the northern lights. Reakoff also is skilled at helping visitors with their cameras so they can get a shot they like. Tip: it's a lot easier with a tripod. Richard Carroll has grown up with his family in the village of Fort Yukon. Located 8 miles north of the Arctic Circle at the confluence of the Yukon and Porcupine Rivers, Fort Yukon was established in 1847 by the Hudson's Bay Company. 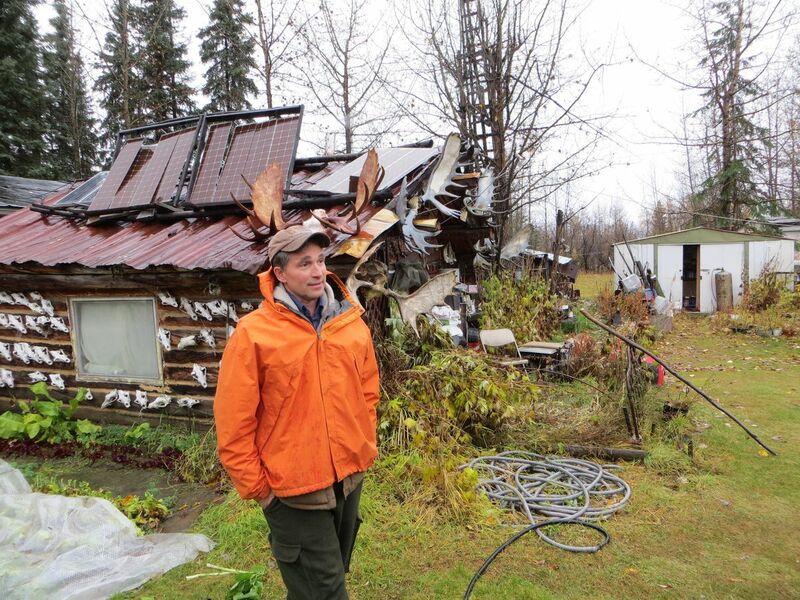 It's about 140 miles northeast of Fairbanks. Northern Alaska Tour Company offers trips to the village so folks can get a glimpse of what life is like in a rural Alaska community. Visitors typically take an afternoon flight up from Fairbanks. On arrival, Carroll is waiting with a blue school bus, ready to drive people around the village. It was a beautiful Alaska evening when we arrived, so many residents, including Carroll's grandkids, were out playing softball. All of the four-wheelers were parked near the field and everyone waved as the bus approached. Then it was back to the game. On our way down to the edge of the Yukon River, Carroll mentioned that he knew one of Fort Yukon's more notable residents, U.S. Representative Don Young. "Oh yeah," said Carroll. "I know Don Young. I did some work on his cabin. He always carries a satchel with a lot of cash," he quipped. Today, Fort Yukon is the largest Athabascan village in the state. There aren't a lot of jobs in the community, so subsistence hunting and fishing is important to the community. At the river's edge, Carroll points out the fish wheels on the shore, noting that the fish have not yet arrived. "They have to swim 1,000 miles up the Yukon before they get to us," he said. On our drive back to the airstrip, we pass by cemetaries, churches, a new health clinic and various state and tribal offices. Carroll answers questions about village life, including the quest to keep teachers and health care professionals in the community. You can read about these communities in books. But putting your own boots on the ground is a chance to make your own observations. With a knowledgeable guide who's willing to share a bit of their own history — you'll come away with a deeper understanding of life at the edge of the world.